The blackbuck (Antilope cervicapra) is native to Indian Subcontinent ,it has been classified as near threatened by IUCN since 2003, as its range has decreased sharply during the 20th century. The native population is stable, with an estimated 50,000 individuals. 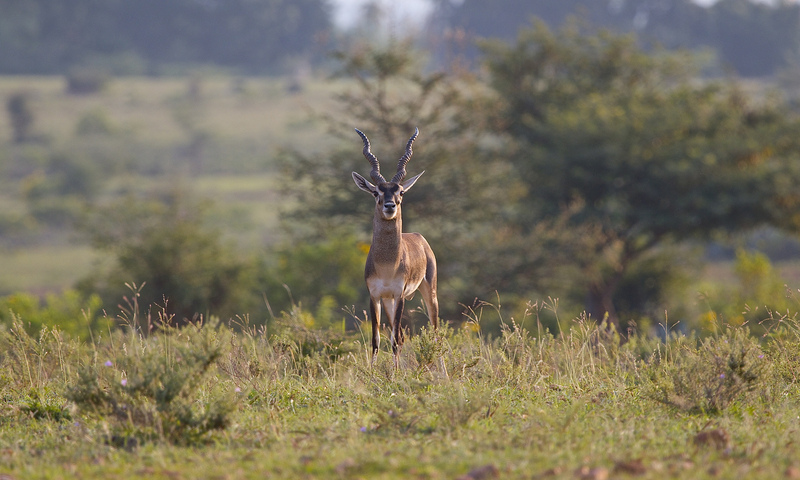 We spotted this beauty at Jayamangali Black buck conservation reserve at Tumkur district of Karnataka. Though Black bucks are shy we were lucky to spot a few at a perfectly lit up evening.